Sorry been out a bit. From here on out, I’ll always refer to Feb 2013 as the “sick month” where my flu became pneumonia. If you have never had pneumonia, you are missing out. It’s a treat. The next few blogs, I am going to attempt to connect one theme to the next. His one has been brewing since my last one but this afternoon, I realized it was time. Roni has gotten me hooked on Pandora. She had Chess Club this afternoon and we were driving home when I heard this song which took me back to my Camp Glisson days. Camp Glisson was several camps within one. We had the typical camp which was called the Village, there was a Pioneer with a rustic setting way out in the woods and limited plumbing, and of course, Sparrowwood. Sparrowwood has probably had the largest influence on how my life has gone. It was a keep set up for special needs kids. Back in the 80s, I can remember seeing their campers in the dining hall as they would eat downstairs and also occasionally passing them as they left the pool. We did have Chapel with them and from this, I realized as a teen to overcome my fears regarding handicapped people. Around 1987 or so, I was working as a counselor at the Pioneer and Village Camps. This would be a life changing summer because I would cross paths with new staff member, Ron Balthazar. And I hated him. Ron was a few years older than us 19 year old counselors. He was part of the Emory University crowd which worked at camp (Camp had several college factions: Young Harris, Reinhardt, UGA, etc). He was one of the new Sparrowwood counselors but because he was older, the upper staff tended to include him which drove us younger folks nuts. Eventually, Ron was running S-wood as the director. What I mistook for arrogance in my younger years was actually maturity, Ron over the next few years would also work his way to upper staff something which ignited much jealously among us but especially me. Ron was very musically inclined so it was a natural choice that the camp manager, Jimmy Moor, would have Ron deal with the sound system and especially the end of the week slide shows. These were tasks I coveted and took personally when I was shut out. I did not like Ron and I have no doubts that Ron was not thrilled with my existence either. It stayed like that for a few years as we both ran in different social cliques. Fortunately, it changed during the summer of 1992. I began spending a lot of time at Sparrowwood. 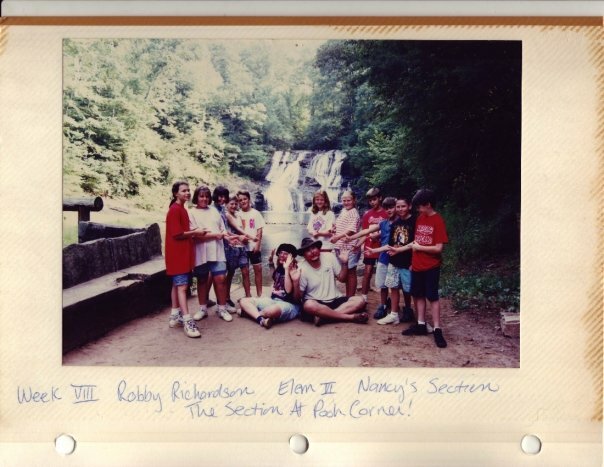 Ron was a huge proponent of mixing their campers with the Village and Pioneer camps so many activities like camp outs, swim parties, and my favorite, the Thursday Night Sp-wood Dance Party. These were some awesome times and made me realize that I worked well with the handicapped and would lead to my future career. By the end of the summer, Ron and gained a bit of respect for each other. 1992 was my last summer of a seven year run. The very last Dance Party was very special. SO special that our Camp Manager the late, great Bob Cagle had lent me a tux jacket which country singer, Hoyt Axton once wore. At the end, it hit me hard. Camp was a big deal for me. 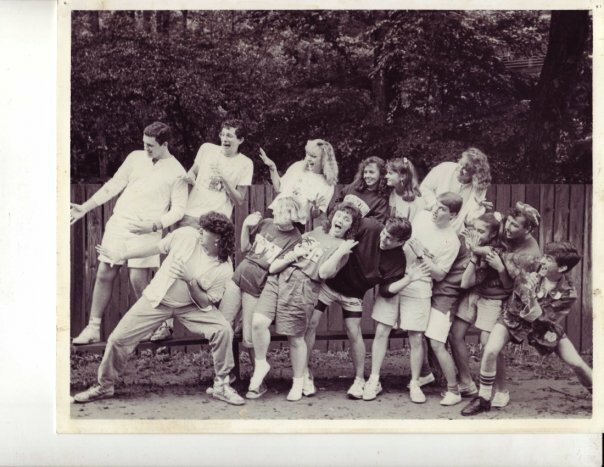 As a camper, I loved Glisson because it was the one week during the year where I could and fit in. As a counselor, I learned a lot about how to work with people, be creative, deal with stress, and got the chance to put back a little of what I had gotten from Camp. One of my favorite memories comes from this night when Ron came up and shook my hand. Ron thanked me for all the help I had done with them over the summer and the enthusiasm I brought. I was floored. Here was a guy I had spent the past 5 years loathing. Now we both were on equal ground and found respect. Ron was a good guy and I missed many years of a potentially amazing friendship. My immaturity and insecurities prevented from seeing this guy as the amazing individual he is. I hope this blog somehow gets forwarded to Ron Balthazar. I hope he understands that a much more mature Robby Richardson wishes he could go back in time to shut up his younger self. Most of all, I hope Ron knows that I thank him for being in my life at just the right time to have enough influence to get me where I am today. Thanks, dude. Knowing you has made a real difference in my life. Robby... You are a Legend! Doug, I can say the same thing about you. Miss you, sir.